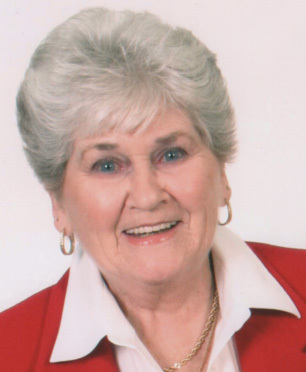 Emma "Moochie" McCarty, age 78, passed away at her residence on June 14. She was born on July 23, 1939 to the late Herman Purvis and Annie Sorrell Purvis. Emma enjoyed gardening, keeping her yard and flowers beautiful. She loved to travel to Asheville. She loved her grandchildren and great grandchildren. She was a kind, caring person that will be missed by many. She is survived by her son, Douglas (Rori) McCarty of Owingsville; One sister, Catherine Woodard of Marion, Indiana; Three grandchildren, Rebekah McCarty, Rachel McCarty, Roger Norris; Seven Great Grandchildren; Jerrika Noris, Kyra Faried, Malachi Owens, Isaiah Owens, Sirayah Owens, Elijah Young, Emmary Young; A special friend, Mary Gray; Special Niece, Theresa Woodard; Two special care givers, Patricia McCarty and Autumn Donathan. She is preceded in death by her husband, Taulbee "Junior" McCarty, her parents, Herman Purvis and Annie Sorrell Purvis , One son, Dwayne McCarty, One brother, June Vanlandingham, One sister, Christine Brown. Visitation will be Sunday June 17 from 6-8 p.m. at the Richardson Funeral Home. Funeral will be Monday June 18 at 2:00 p.m. at the Richardson Funeral Home will burial to follow at the Longview Cemetery.